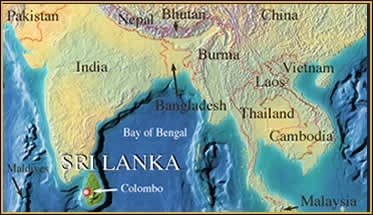 Location: Sri Lanka is a tropical island, south of India in the Indian Ocean. The Russell’s viper is a widespread venomous snake that is distributed from Pakistan to Cambodia and China, with island populations on Taiwan and some of the Lesser Sunda islands of Indonesia. Currently only two subspecies are recognised: Daboia russelli russelli in South Asia and D. russelli siamensis in S.E.Asia and the outlying islands. However, this simplicity is not reflected in the venom of this dangerous snake, the venom of Burmese vipers differing from that of Thai specimens and the venom of Sri Lankan Russell’s vipers being very different from that of the mainland Indian form. Obviously this situation has series ramifications when it comes to treating snakebites because victims can only be treated with the available antivenom. Russell’s viper antivenom is manufactured in Thailand and in India but not in Sri Lanka, which uses Indian antivenom to treat snakebites. Unfortunately the Indian antivenom does not address all the life-threatening aspects of the venom of the Sri Lankan race of Russell’s viper. Often Sri Lankan doctors are forced to administer large doses of Indian Russell’s viper antivenom, with all the inherent problems of hypersensitivity and allergic reactions which in themselves can be life-threatening, if the patient is to recover. Sri Lankan Russell’s viper venom can cause kidney failure and internal haemorrhages, including brain haemorrhage. Such a snakebite, especially in a rural situation, is a major medical emergency. Snakebite is also a very common accident in Sri Lanka which, with a population of 19 million, suffers hundreds of snakebite fatalities each year and has earned the dubious reputation of being the country with the highest annual snakebite death rate, per capita, in the world. Many of these deaths are the result of people coming into contact with Russell’s vipers in the paddi-fields during rice harvest time or when walking around the village after dark. The region with the highest incidence of Russell’s viper snakebite is the northern dry zone area around Anuradhapura, where someone living to the age of 70 has survived a 1 in 80 chance of being killed by a snake, but this dangerous snake is also found throughout the island and deaths also occur in the wet zone central region too. Mark visits the hospital at Anuradhapura in the company of snakebite experts Prof. David Warrell and Dr Ariaranee Ariaratnam, to see for himself the extent of the problem. He finds the hospital like a war zone with a continual stream of victims and patients sharing beds as the hospital staff fight to save their lives. Mark and Sri Lankan herpetologist Anslem de Silva then set out to capture Russell’s vipers from various locations across Sri Lanka for delivery alive to the new Herpetarium facility in Colombo. Here the ultimate aim is to produce a specific antivenom for Sri Lanka Russell’s viper bite from the venom of Sri Lankan Russell’s vipers, thereby increasing the efficiency of the available treatment and reducing the unpleasant side effects that resulted from large doses of Indian antivenom. Mark also investigates the history of traditional treatment of snakebite in Sri Lanka, even undergoing the ‘medicine boat’ treatment himself. Anslem and Mark get a good look a the lie of the land, courtesy of the Sri Lankan Air Force who fly them around the primary snakebite areas in a bullet-ridden Huey helicopter gunship – an ambition come true for Mark. 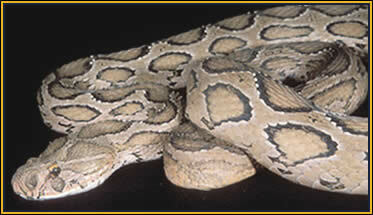 The Sri Lankan Russell’s viper (Daboia russelli russelli) is the snake at the centre of an epidemic. It’s venom is so complex that antivenoms from India do not address all of its life-threatening properties. On Sri Lanka, a jewel of an island in the Indian Ocean, this snake bites thousands and kills hundreds every year.